A lot of great things has happened to me lately. A new relationship, summer fun, a new job, new found motivation. 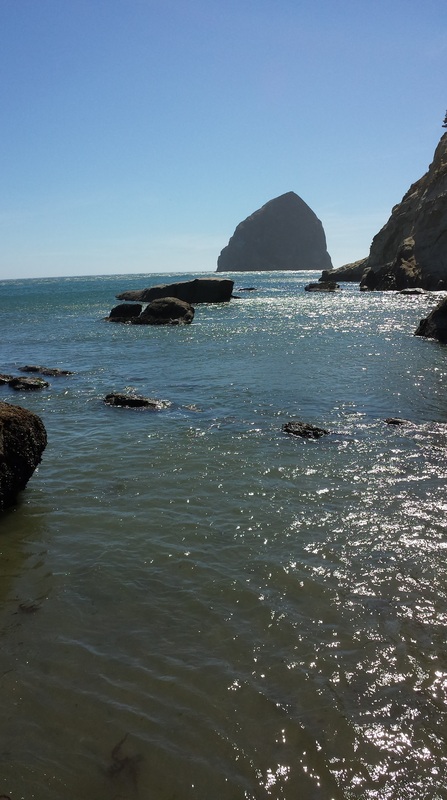 I am working less hours now at a job that I am more passionate about. This, and a willing audience has lead me to get in the kitchen and create again. With my new found allotment of time this week I have taken on a couple items; Mussels classically prepared in white wine and Roasted Plum Ice Cream. I got a hankering for some mussels a few nights ago. 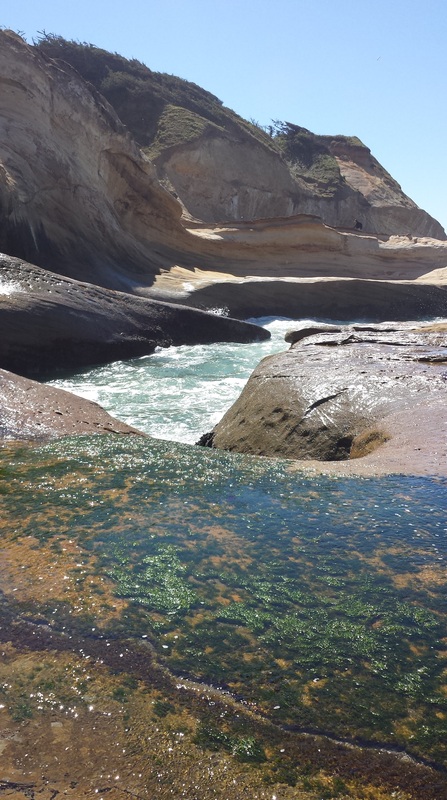 Coincidently I had just had a fabulous day off in Pacific City where I was introduced to humungous sand dunes and chilly tide pools covered in fresh ocean mussels. I went to New Seasons grocery store and found myself just staring at the seafood counter. 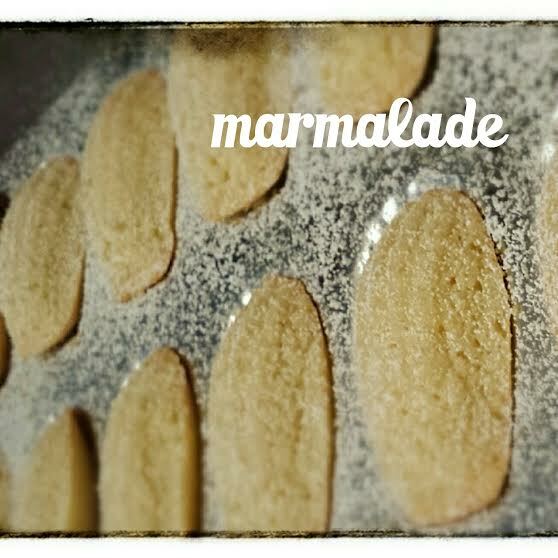 Do I make them? Or do I treat myself and go out for some and maybe get a chance to read a bit. I was that person standing off to the side looking at my phone for inspiration from mussel recipes on the internet and looking up my go to restaurants that I know would have a counter seat for me and excellent mussels. I decided to take a chance and go out for dinner. Then I found myself in the beer and wine aisle. I was staring at the Rosé shelf for a treat for later when the wine buyer approached me. He asked me what I was having for dinner. He told me about some fabulous wines that would go with my mussels. I told him that if I cooked mussels I would usually do it in beer. He said “no way!” He put a bottle of Cameron Giovanni Pinot Blanc in my hand and told me that the fish monger there picks the best mussels, its the end of the season so it will be awhile before local ones are available again. 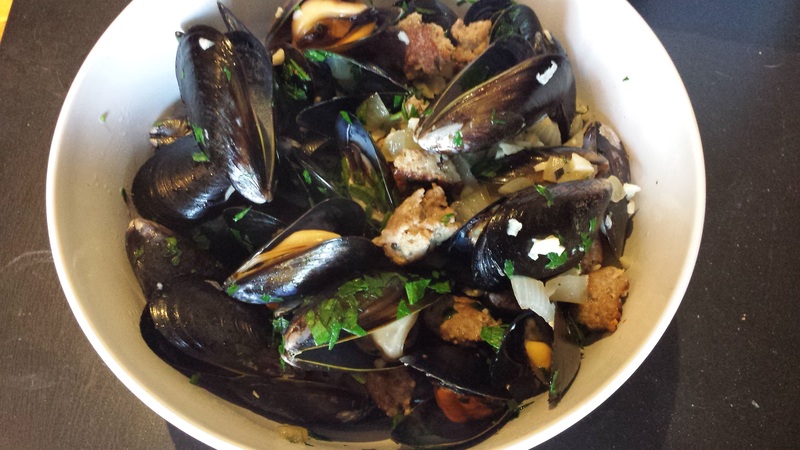 He told me to use 1/2 cup of the wine in the mussels and drink the rest…. so I did. Drizzle olive oil in a hot deep dish skillet over medium high heat. Pull small chunks of the sausage about 1/2 inch wide and place into hot oil. Cook sausage until browned. Add in onion and cook until translucent, turn down temperature if pan is too hot – you don’t necessarily want color on your onions. Add in garlic, salt and pepper and cook just 1 minute. Toss in cleaned* mussels and wine. Cover with a lid and cook for 5 minutes until all the mussels have opened. Of course if you come across a mussel that did not open, toss it – It obviously didn’t live long enough to taste the wine. 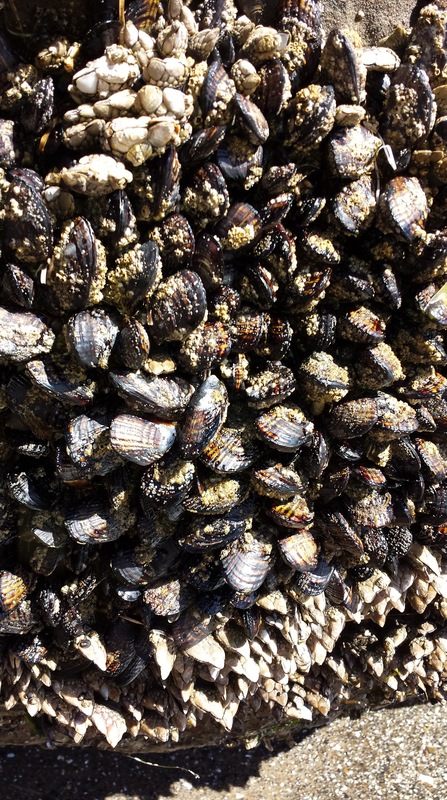 *When cleaning mussels I like to place them in a large colander and rinse them with cold water. 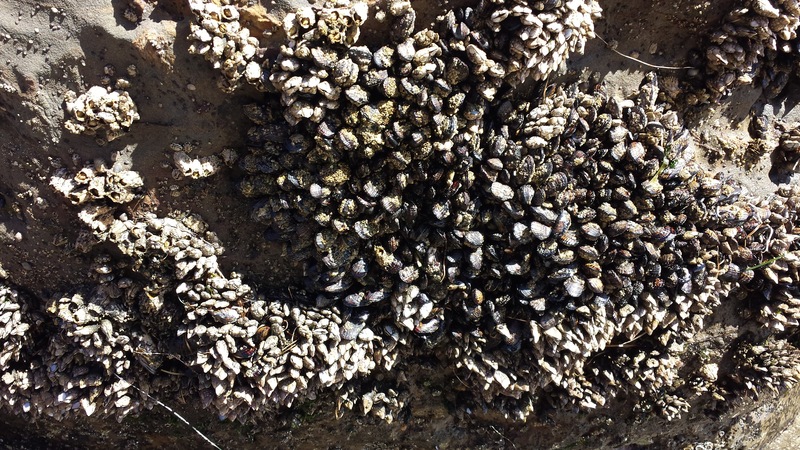 Most of the mussels have a little scraggly beard hanging out of one side of their open shell. Holding the mussel firmly you want to rip the beard down towards the hinge to remove it. It might take some tugging. Once you have done a couple it will get easier. Then give them one more cold water rinse. Now they are ready to go. I place mine in a big ol bowl and go to town. This dish begs for a couple pieces of crusty grilled bread for sopping up the yummy juice. I love making ice creams because, seriously, who isn’t happy when you offer them ice cream. I like to pay my dog sitter in ice cream (it’s a heck of a deal). While my mom was visiting recently we stepped into a kitchen store that had a special promotion on a cuinsinart counter top ice cream maker. It was an amazing deal so I jumped on it. Until this time I was using a KitchenAid mixer attachment ice cream machine. It worked wonderfully but I really had wanted a counter top model as I was making more and more ice creams. I took home the ice cream machine and I am in ice cream makers heaven. 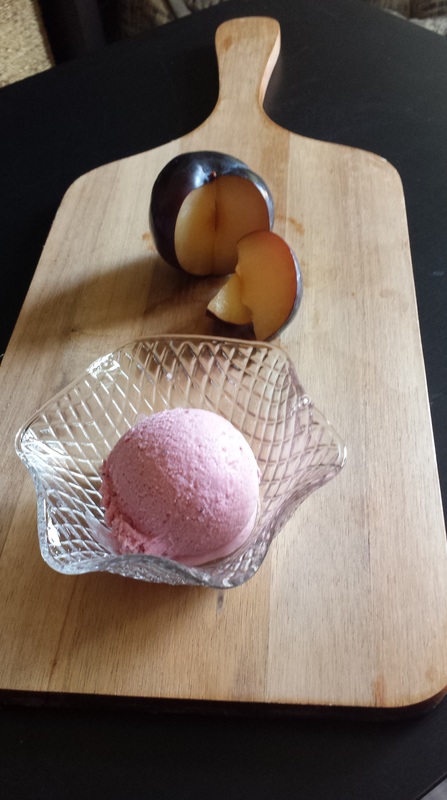 I chose to make Roasted Plum Ice Cream this time because of the wonderful plums available at my local farmers market. 4-5 black plums, halved and pits removed. Preheat oven to 400º oven. Place halved plums in a baking dish, cut side up. 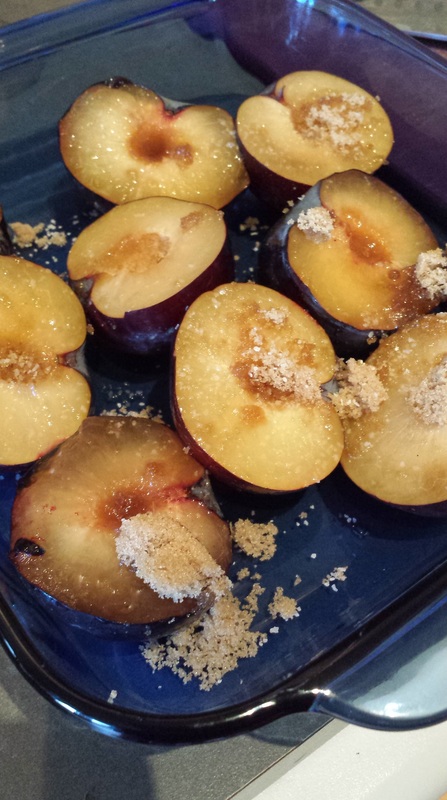 Sprinkle brown sugar and salt over the plums and roast for 20-30 minutes until starting to brown. Let cool. Heat heavy cream, sugar, and honey in a saucepan until sugar is dissolved and little bubbles form around the edges. Place 1/4-2/3 cup of cream mixture into blender with the cooled plums and their juices. Blend on high for about 1 minute until pretty smooth. Pour plum mixture through a sieve over the remaining cream mixture and stir to combine completely. Chill 4 hours to overnight in the fridge. 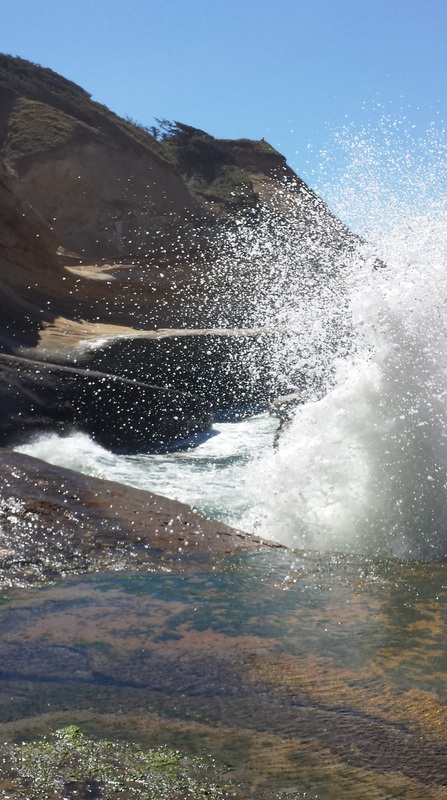 Churn according to your ice cream makers instructions.